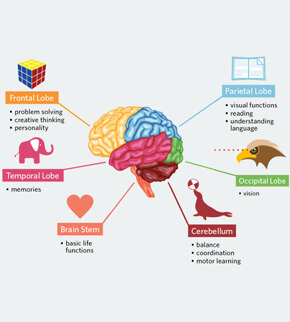 Brain, being the sensitive and master organ in the body, is equally susceptible to any kind of infections and other disorders of varying intensity, such as brain cancer, tumors, Alzheimer's disease, alcoholism, amnesia, altitude sickness, autism, epilepsy, and so on. 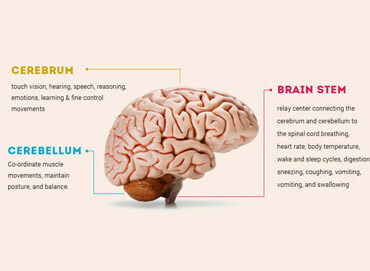 Each of these conditions adversely affects the functions of brain. 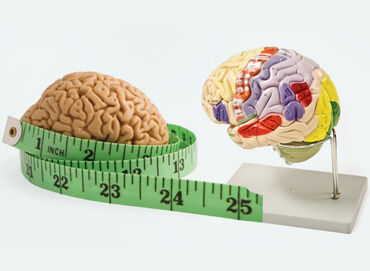 Though it is very difficult to address the complex mental abnormalities, considerable advancement in the field of health science and medical research has offered various remedial strategies to most of such conditions. Now let's discuss, turn by turn, some of the major brain diseases list with their diagnostic symptoms and frequently recommended treatment measures. 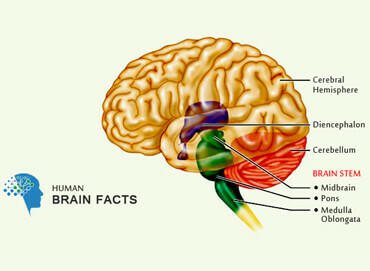 Some disorders affect the organ as a whole while other do harm to only certain parts of brain. 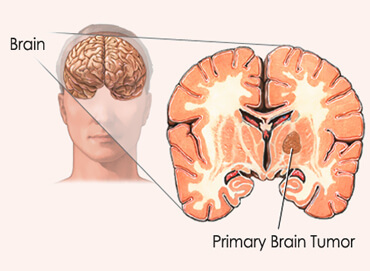 Talking about the brain diseases list, cancer and tumor are the terms that are used alternatively as each refers to the accumulation of the malignant mass caused by the uncontrolled division of cells in any tissue across the body. But, still there lies certain difference, i.e. tumors may be either cancerous or non-cancerous (benign) that can be located and diagnosed by Computed Tomography Scans, an MRI, biopsy, and electroencephalography, etc. Critical symptoms include severe headaches, vomiting, double vision, seizures, mental confusion, loss of memory and paralysis that can be treated by surgical therapy, microsurgery, radiation therapy, laser surgery and use of corticosteroids. Characterized by the gradual degeneration of neurons in brain that are associated with the process of cognitive information, its symptoms are very slow to appear and after getting progressively worse, they become irreversible. Some of the most frequently observed indicative signs include, short-term memory loss, impaired judgment, language difficulties, recognition issues and difficulty in walking that can be relieved by medications, and inhibitors of the enzyme acetylcholinesterase, viz. rivastigmine, galantamine, and donepezil. Caused by the excessive ingestion of alcohol, it is a chronic illness of brain and may be the outcome of social, psychological, genetic and psychological factors. The critical symptoms involve the dependence and extreme desire for alcoholic consumption, thus given the name of alcoholism that may lead to severe brain damage and early death of the young adult. The critical conditions are very difficult to deal with, but social assistance (supportive therapy), psychological therapy, avoiding alcohol, coping mechanisms, administration of detoxifying agents and medications prove to be very helpful in this regard. Caused by psychological trauma, brain damage, disease, hysteria, head injury or nervous functional disorder, it results in the systematic, partial or complete loss of memory. However, the excessive and frequent use of hypnotic drugs may lead to the temporary onset of the associated symptoms. Both of its types, viz. anterograde amnesia and retrograde amnesia, can be addressed without any treatments, but if this is not the case, the lost memory can be regained by means of learning fresh non-declarative knowledge involving perceptual and conceptual priming. Also known as 'Altitude Sickness', it indicates the malfunctioning of the major organ of central nervous system (brain) caused by the pathological effects of high altitude on human beings. When you go above the sea level, you gradually experience decreased or insufficient oxygen pressure at the height of about 8,000 feet or more. Some of the obvious symptoms include shortness of breath, nausea, headache and sleep disturbances that can easily be relieved either by descent to the lower altitudes where there is normal oxygen pressure, or by the prescription of acetazolamide, injectable steroids and supplemental oxygen. Having a genetic basis (mutations or rare combinations of common genetic variants), this is another item of the list of brain diseases. It involves suffering from communication difficulties, and impaired social interaction. 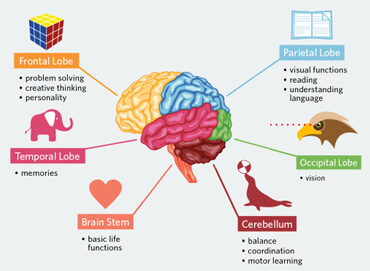 A child affected with this disease may not usually be able to live an independent life, but it is also one of the human brain facts that they can gain self-control by the modification of their early behavior, cognitive intervention and medical management. The autism spectrum disorders are very common among children in the United States of America as more than half of the newborn babies are affected with it. These disorders can be effectively treated by prescription of antipsychotics, stimulants and antidepressants (e.g. anticonvulsants and psychoactive drugs). An external mechanical force hitting the inside of the skull such as an open head Injury, closed head injury and deceleration injuries. A harmful object penetration for instance chemical or toxicants, hypoxia, tumours, infections, stroke etc. 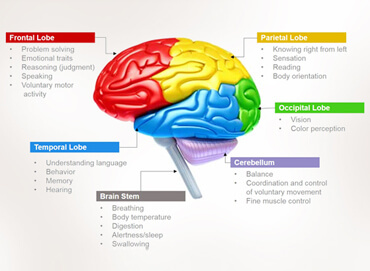 As a consequence, TBI affects the nervous system by impeding the ability of the brain to issue messages to other parts of the body. This can in turn leads to permanent or temporary impairment of cognitive, physical, and psychosocial functions with diminished or altered state of consciousness. Damage in nerve cells also cause a loss in memory, speech and concentration resulting in a slow behavioral speed such as the failure to interpret conversations or remember the correct words. According to a survey conducted by the National Health Interview; about 131 incidents per 100,000 people of mild TBI, 15 cases per 100,000 individuals of moderate TBI, and approximately 14 occurrences per 100,000 people of severe TBI take place annually. In addition, latest studies reveal that an estimated 52,000 individuals lose their battle for life against fatal TBI in USA only, with the risk factor highest between the ages of 15 to 24 years- both, in men and women. Epilepsy is associated with different behavioral, physiological and nutritional, genetic, and biological factors, like alcoholism, drug addiction, brain cancer, stroke or brain trauma. It is characterized by the onset of seizures owing to the interruption in the normal electrical activity of your brain. The disease is more common among the inhabitants of developing nations of the world (about 80%), and according to a survey, about 50 million people are suffering from the seizure disorder worldwide. Sudden fear, uncontrolled movement of body parts, confusion and loss of consciousness are some of the associated symptoms that can be relieved by the best available medications, surgical therapy and use of specialized diets. Characterized by the temporary loss of consciousness resulting from a forceful blow or injury to the head, it is the brief interruption of normal electrical activity in the brain. However, it cannot be equated to more severe injuries or traumas of brain, such as cerebral lacerations and bruises. Under ordinary circumstances, the symptoms can easily be relieved within a day a two, but repeated incidences of brain concussions can even lead to permanent brain damage. The treatment usually involves bed rest under observation for about 24 hours, but severe headache can be relieved by the prescription of ibuprofen or acetaminophen, and the use of aspirin has to be avoided because it may lead to internal bleeding. It is characterized by an infection and accumulation of pus in the brain that irritates or destroys the surrounding brain tissue, and raises pressure inside the rigid skull. Approximately, ten percent of the cases are reported to be fatal, but you can get fully recovered if immediate medical treatment is provided. The symptoms include nausea, severe headache, partial paralysis, drowsiness, epileptic seizures and the discharge of pus from the ear or nose that can be relieved by large doses of antibiotics, surgical therapy and use of anticonvulsant drugs. However, the increased awareness of healthcare has made the disease very rare as all kinds of infections in the body are treated by the use of antibiotics before they worsen to cause such complications. One of the two main types of strokes, it is characterized by the rupture of artery and consequential bleeding that may be either intracerebral (into the brain) or subarachnoid (into the space between the membranes). There are a number of diagnostic symptoms, viz. excruciating headache, stiff neck, mental confusion, nausea, vomiting, partial paralysis, speech difficulty, loss of consciousness and double vision. The diagnosis can be carried out through lumbar puncture, CT scan, MRI and arteriography, and the patient has to be taken to the ICU of hospital for emergency treatment that may involve life support and surgical repair of the ruptured artery. Caused by the blockage or rupture of an artery supplying blood to the brain, it is a medical emergency that may lead to cell death and permanent brain damage. However, about eighty percent of the cases of stroke result from the blockage of artery either in the brain or in the neck region, while the remaining twenty percents disorders are caused by the rupture of blood vessels. The critical symptoms of this brain disease include severe headache, paralysis, partial or complete loss of vision, mental confusion, loss of memory, inability to walk and coma that have to be treated by immediate hospitalization. Depending upon the severity of the condition, the treatments advised by the health care providers may be either short-term or long-term and involve prescription of thrombolytic or clot-dissolving drugs, life support, and application of different measures, viz. emotional, speech, physical and occupational therapy, etc. Occurring usually in childhood below or up to the age of 18, the disease retards or reduces up to 70% of the intellectual capabilities of the victim who faces many difficulties in routine life, namely, social interaction, independent living, learning, communication, working and self-care. However, according to historical definition, the disease is most likely to be present if the intelligence quotient or IQ score is below 70. Some of the obvious symptoms include difficulty in language & learning, loss of memory, and difficulty in problem solving. Generally there are no medications available for the effective treatment of the disease, but in case of further medical complications, the health care provider may suggest you a number of other medications.